If you have heart disease, you get chest pains, right? Not all heart problems come with such clear warning signs. Coronary disease includes a number of conditions, which have different symptoms. Learn the symptoms and you’ll be better prepared to head off a dangerous health episode. Coronary artery disease develops when the arteries that supply blood to the heart become hardened and narrowed. This is often caused by build-up of cholesterol and other materials called plaque in your arteries. This build-up is called atherosclerosis. As it increases, it can reduce or block blood flow to the heart. The most common symptom of coronary artery disease is angina or chest pain. People with angina describe it as a discomfort, heaviness, pressure, aching, burning, fullness, squeezing or painful feeling in the chest. It can be mistaken for indigestion or heartburn. Angina may also be felt in the shoulders, arms, neck, throat, jaw, teeth or back. 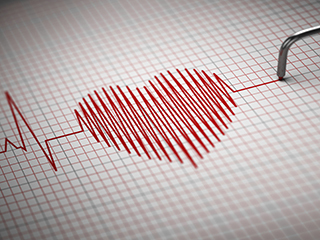 Coronary heart disease may lead to a heart attack. It can also weaken the heart muscle and cause heart failure or heart rhythm abnormalities (arrhythmias). Discomfort radiating to the back, jaw, neck, and one or both arms. Pericarditis is inflammation of the lining around the heart. It causes chest pain and accumulations of fluid around the heart. Causes of pericarditis include infections, injury and radiation treatment. Pericarditis usually begins suddenly and is short lived. The most common symptom of pericarditis is chest pain, but it’s different from the pain of a heart attack. It may be sharp and located to the center of the chest. It gets worse when lying down, taking a deep breath, coughing or swallowing. Sitting up and leaning forward improves the chest pain. Symptoms of heart disease aren’t always clear-cut, and it may be difficult to tell what’s really going on. If you are experiencing any of these symptoms, check with your health care provider. Or if they’re severe, call 911. It’s the fastest way to receive life-saving treatment. 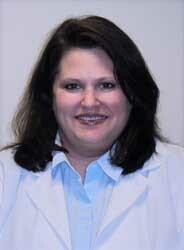 Stacy Bartolich, Certified Registered Nurse Practitioner, is a member of MPCP’s Columbia Cardiology staff. She received her Bachelor of Science in Nursing from the University of Missouri and her Master of Science in Nursing from the University of Maryland. She is board certified by the American Nurses Credentialing Center in Family Practice.